Final drives and planetary gears must be able to withstand the high powered torque of the engine and transfer these loads to move the equipment as required. 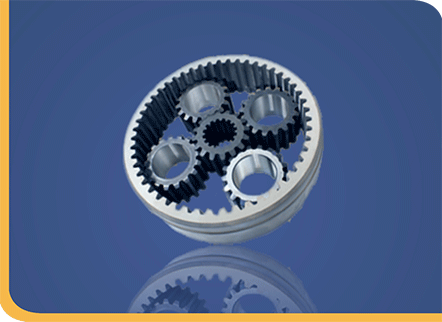 All PTT swing gears and final drive gears are manufactured to precise tolerances for reliable operation, and heat treated for increased bending strength, which in turn prevents case crushing and provides exceptional wear resistance in the long run. We offer some exciting options on Volvo Final drives – with hub retaining ring gears sold separately and at a huge cost advantage to our clients. OEM quality Final drive parts for CAT 777 Series. The highest Quality used parts available as well as new parts.